*Please contact us for the shipping cost. 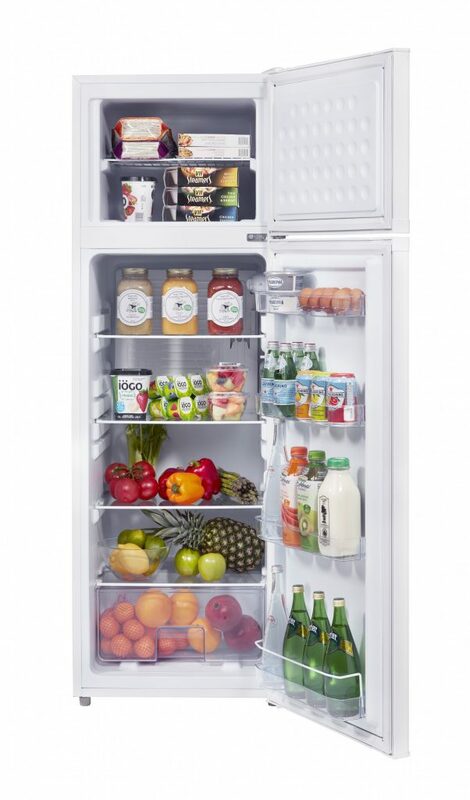 The Unique 260L1 DC powered fridge/freezer is designed for optimal energy savings and easy, dependable use, this 9 cu/ft refrigerator boasts the world’s most reliable compact DC cooling system (Danfoss/Secop compressor), efficient insulation throughout and simple effortless controls. 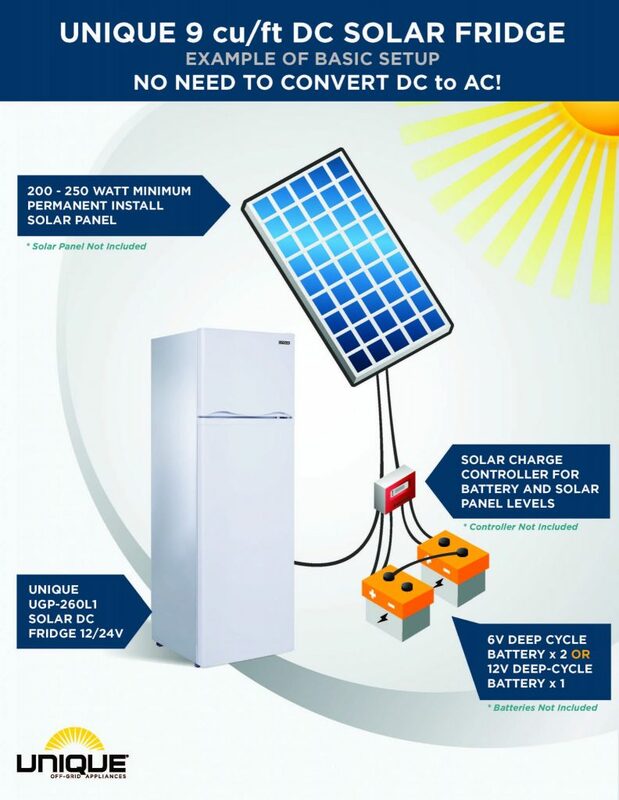 The UGP-260L1 is super efficient, only drawing 572 Wh/24hrs (in a +25°C/77°F ambient, set at -14°C/+7°F in the freezer and +4°C/39°F in the refrigerator). Its cabinet construction features 2.75? (7 cm) of insulation in the freezer and 1.75? (4.5 cm) of insulation in the fridge. It’s spacious interior layout includes adjustable glass shelves and a storage basket.